In response to the U.S deployment of their missile defense system maybe? I think it’s in response to continued western influence in “their” territory. 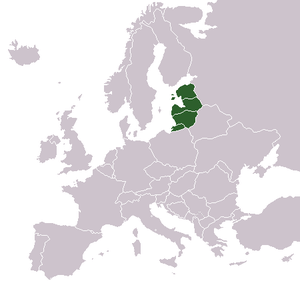 Bad enough that the baltic nations (and everyone else on the Russian periphary except that beacon of humanity Belarus) “betrayed” the Russians by running away from them as quickly as possible. Now there are nations closer in who have the nerve to want NATO/U.S. presence. The missile defense shield could be made of play dough and the Russians would claim it threatens them. What if the shield really is to protect against Iranian missiles? Iranian missiles only come into play if U.S/NATO attack Iran, they will not make a preemptive strike against enemies not when they can really hit where it hurts by closing the strait of Homuz. The Russians and the Chinese for that matter see what is happening as the west continues with its expansionist policies. They must push back and show some resistance, when missiles were spotted in Cuba we saw how the U.S reacted!